Of course all the scrapbooking materials I can find only have 'horned' or 'heavy browed' owls. 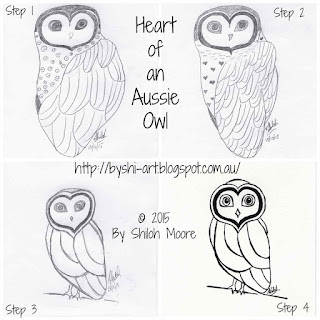 So I looked at Australian Owls at www.owlpages.com and fell in love with their almost heart shaped faces. 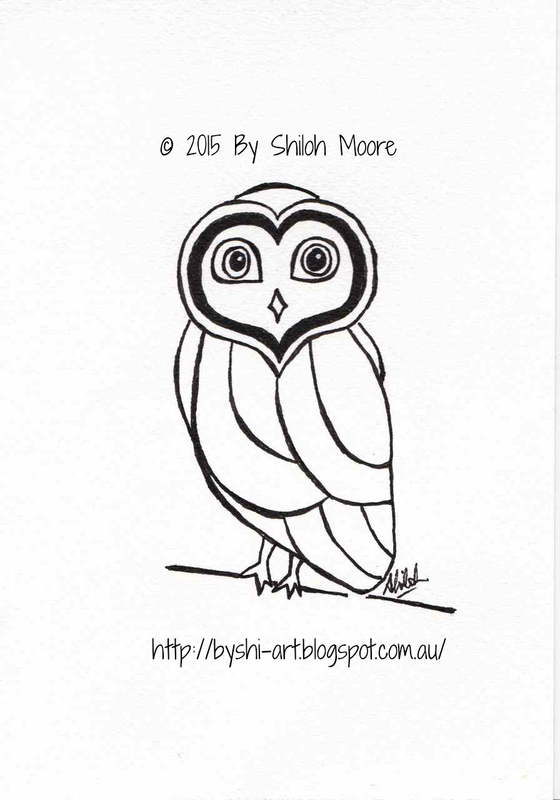 So bit by bit throughout December 2015 I drew my own version of an Aussie Owl. 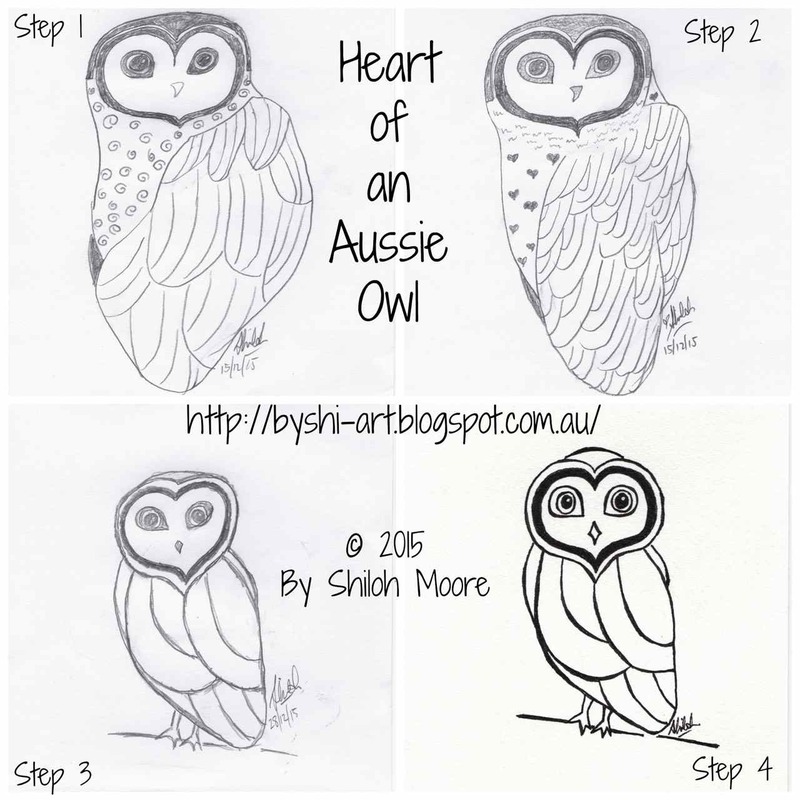 This was the evolution of my drawing. 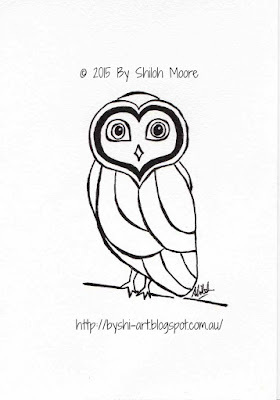 May this owl welcome you to the New Year.